Call 989-433-6087 to schedule your first appointment. If you've been searching for hearing aids in Gaylord, MI, you need look no further than Miracle-Ear®. We’re America's most recognized brand of hearing aids and a trusted provider of hearing products for people with varying levels of need. Our hearing care specialists will be ready to answer your questions. Let us introduce you to our new GENIUS™ Technology and give you an overview of how it can enhance the quality of your life. If you’re engaged in conversation in a challenging listening environment, our hearing aids can provide you with better speech recognition than that experienced by people with normal hearing. This is largely due to features like Directional Focus, Wireless Windscreen, and High-Definition Digital Sound, which all work in concert to give you crisp, clear results. The first phase in our relationship begins with a free hearing test* to assess your current situation. With this information, we can assist you in determining the hearing solution that would be most suitable for your needs. You can rest assured knowing that you'll receive the same level of excellent care at any one of the more than 1300 Miracle-Ear® locations nationwide. Each one is independently owned and operated by people who will be devoted to your hearing ability. Instead of letting your hearing loss keep you from doing what you want, let Miracle-Ear® hearing aids give you the ability to fully participate in the things you care about. We’ll offer you a 30-day, risk-free trial,** because we want you to feel comfortable testing our products in the real world. Visit our hearing aid center in Gaylord to discover and experience the Miracle-Ear®® advantage. 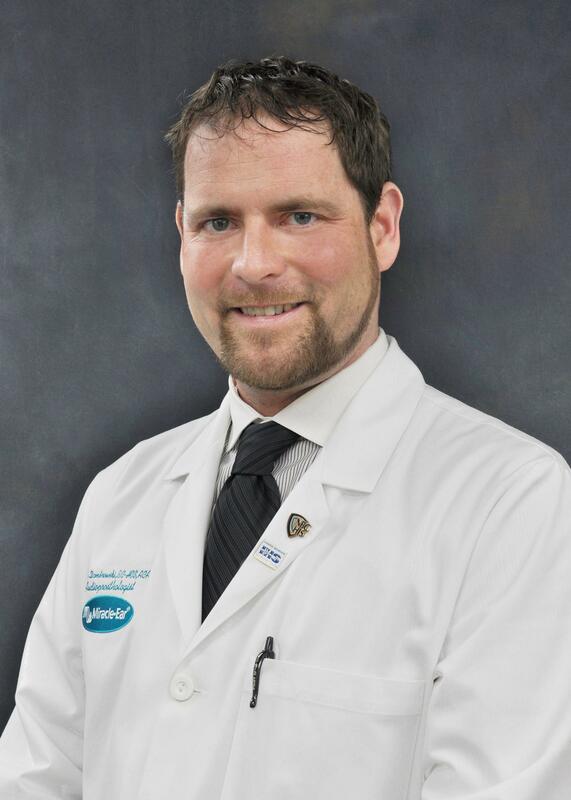 Joseph has 12 years experience as a Hearing Instrument Specialist at Miracle-Ear. I love my job, most especially helping people. Over the years, Joseph has obtained a National Board Certification, and is also a State licensed Hearing Instrument Specialist. Since 2008, he has obtained the title of Audioprosthologist. He is always taking classes to further his knowledge in this field. Joseph's favorite part of working at Miracle-Ear is "helping people daily with their hearing health care needs."